Part of getting draw-dropping, drool-worthy food photo is to have strong food styling skills. 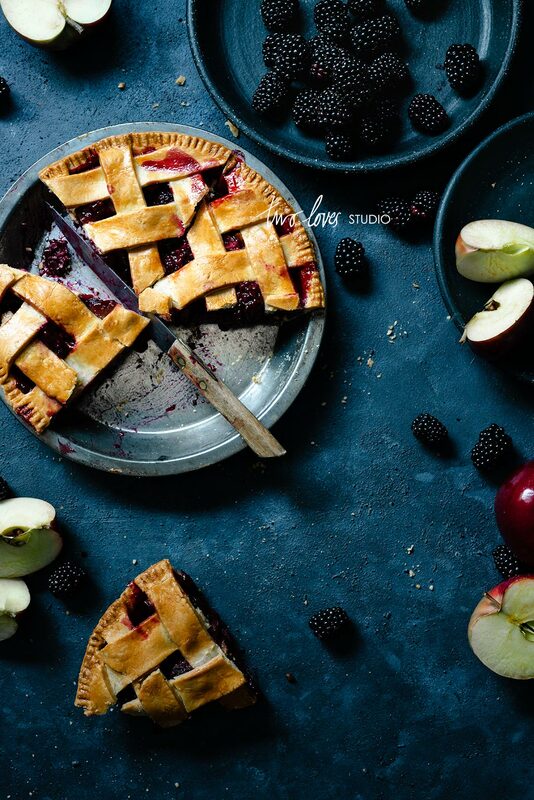 One of my favourite things to shoot is fruit pies! There are so many filling options and lots of ways you can make the food interesting. As I have a minimal style, I like to think really hard about the small details in food and how I can kick the image up a notch with my food styling. Read this article if you’re interested in how you can shoot a minimalist style with your food photography. 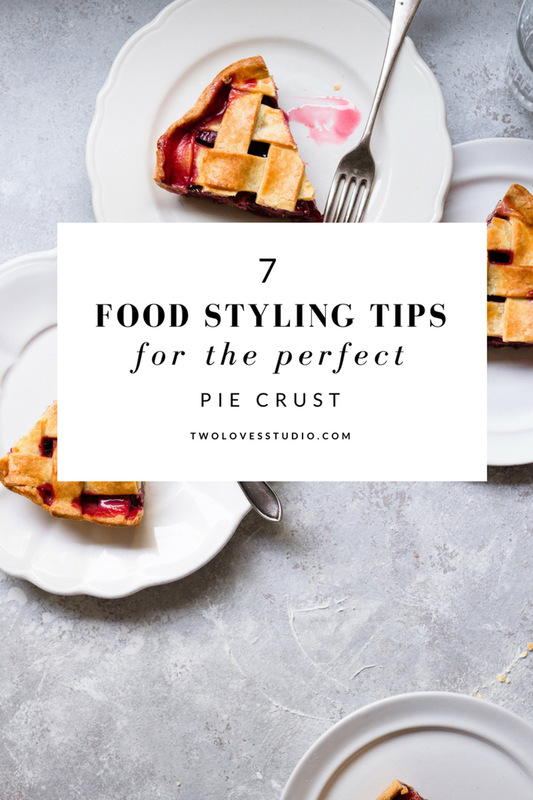 So you can create photo-worthy pies, here are my top 7 food styling tips for pie crust. It includes a bunch of pastry tips that you’ll be able to focus on with any pastry recipe. Head over to my Instagram TV channel to see my food styling tips video for the perfect pastry! 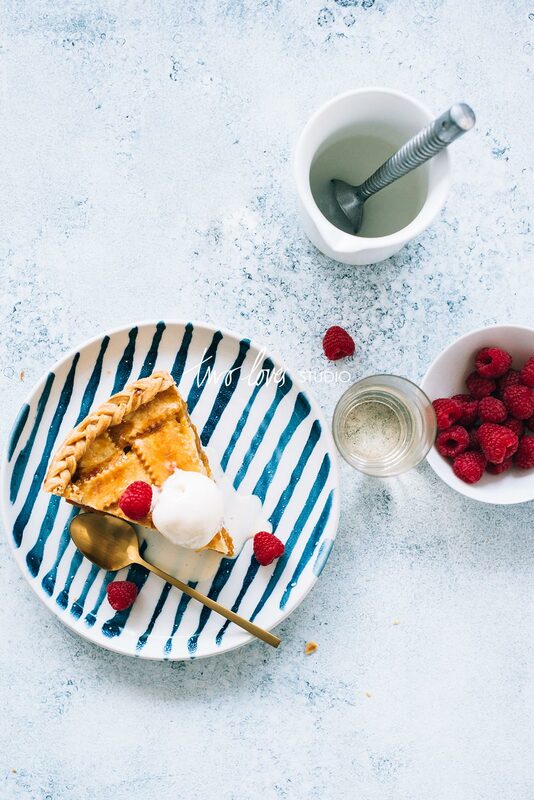 Food Styling Tips #1 – Consider Your Lattice Pattern. This is the most interesting part of your food. You won’t need to focus or rely on a lot of props when there is lots of interest in your food. There are many patterns that we can make for the top of our pie to make people stop mid-scroll on Instagram. Before you make your pie, have a pattern in mind for your lattice. Head to my Pinterest Board: Pies to get some inspiration. Food Styling Tips #2 – Think About The Colour of Your Ingredients. I have made pies all over the world in my travels, and something I have noticed is the colour of ingredients like butter and eggs. They change depending on where in the world you get your ingredients from. Sometimes they are pale, sometimes they are orange and other times yellow. To help you get that golden colour, you will want ingredients that are more orange than yellow. I’ve coated a pie in egg-wash before, and the egg was super yellow. This, in turn, made my pie fluoro yellow and unappetising looking. 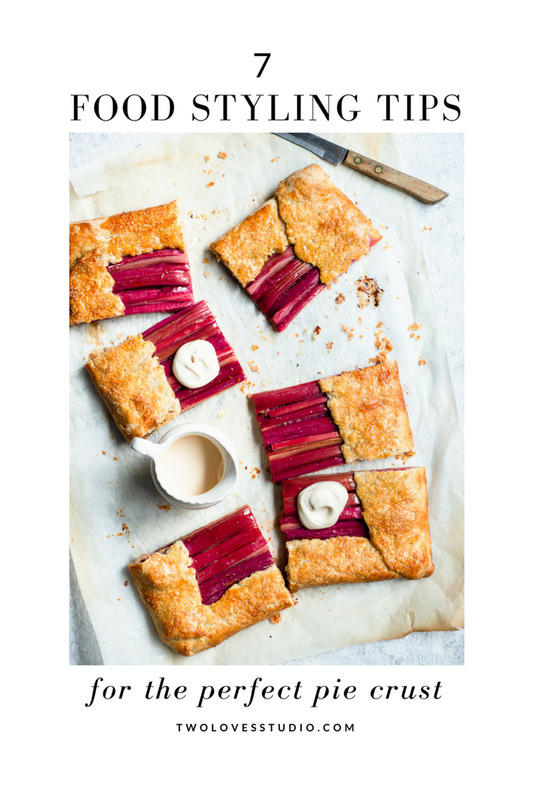 Food Styling Tips #3 – Double Your Pastry. For food photography, it is a good idea to make double the recipe. 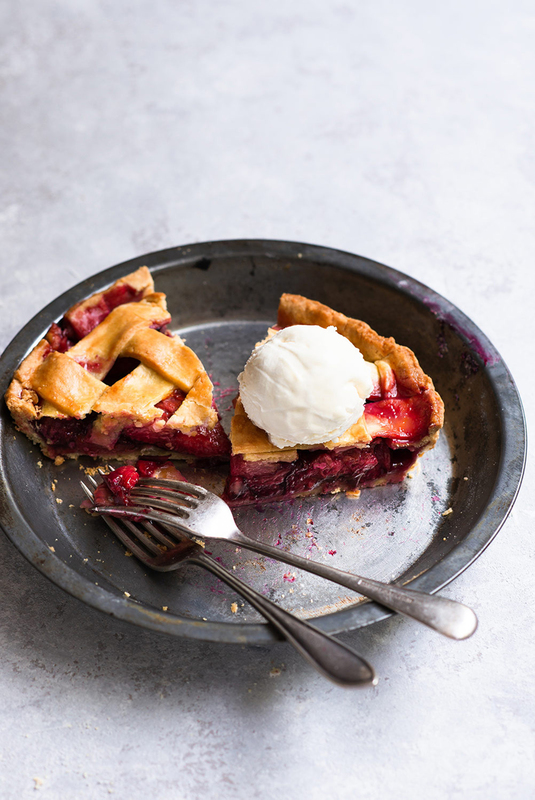 Head over to this post to get the full recipe for photo-worthy pie crust. This is so you can get the edges perfect and have enough pastry to make a lattice. Even though you can make enough pastry with one batch, doubling the recipe will make sure your pastry looks professional and something straight out of a magazine. You will get finished looking edges and an even lattice pattern. It’s simple pastry tips like this that food stylist will use to get their pies looking perfect. Food Styling Tips #4 – Seal The Bottom + Top Layers. Ensuring the top and bottom layers are pressed together to seal correctly is important to get that finished look. You will want to press the top and bottom pastry together with wet fingers. From there, once sealed, you can crimp or wave your pastry so it looks cohesive and professionally made. Food Styling Tips #5 – Freeze The Pastry To Avoid Shrinkage. This is one of my biggest tips! There is nothing more frustrating than spending a lot of time getting your crust perfect, only for it to shrink in the oven. Once you have assembled your pie using this recipe, place it int he freezer for 10-15 mins so that when the butter heats up it is less likely to shrink. This tip is key in getting photo-worthy pie crust. 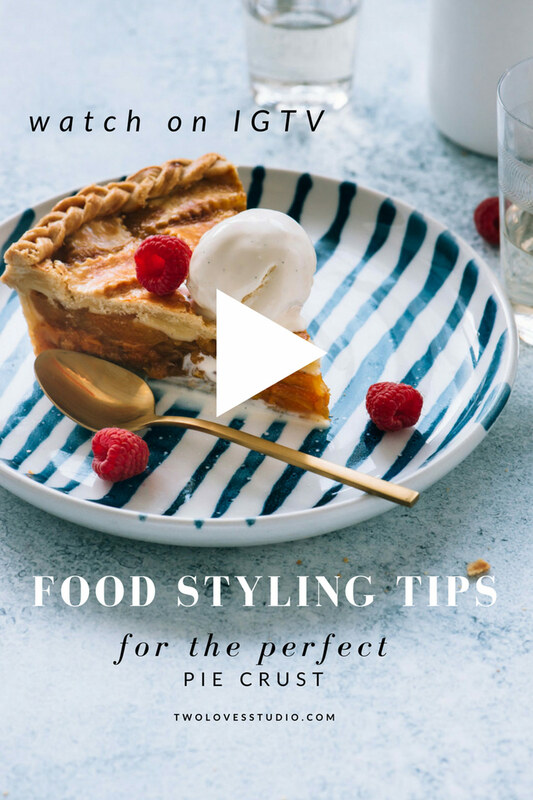 Food Styling Tips #6 – Foil The Pie To Let The Juices Bubble. To add layers to your story and creating something really interesting, I like to get some juice bubbling to ooze out colour onto the crust. To do that, I wrap the pie in foil for the last 15-20 mins of baking. This will encourage the juices to bubble onto the crust. It will help connect your viewer with your story and see a little bit more of the insides of your pie. Food Styling Tips #7 – Let It Completely Cool. Shooting pie is all about that perfect slice. And to get that perfect slice, we need to let our pie completely cool to room temperate in order to cut it. As far as food styling tips go, this is super important to be able to get those perfect slices even and intact. 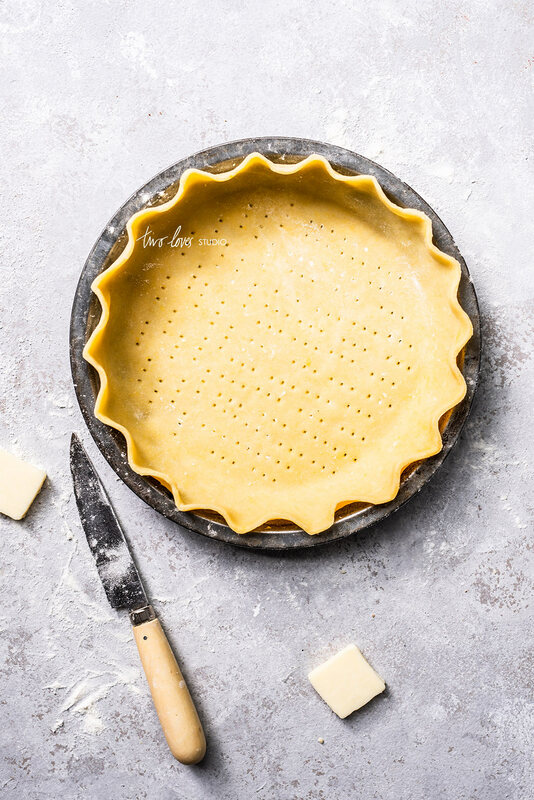 Now that you know my top food styling tips for photo-worthy pie crust, head over to this post where you can get the full recipe I used to create the pies in each of these images. 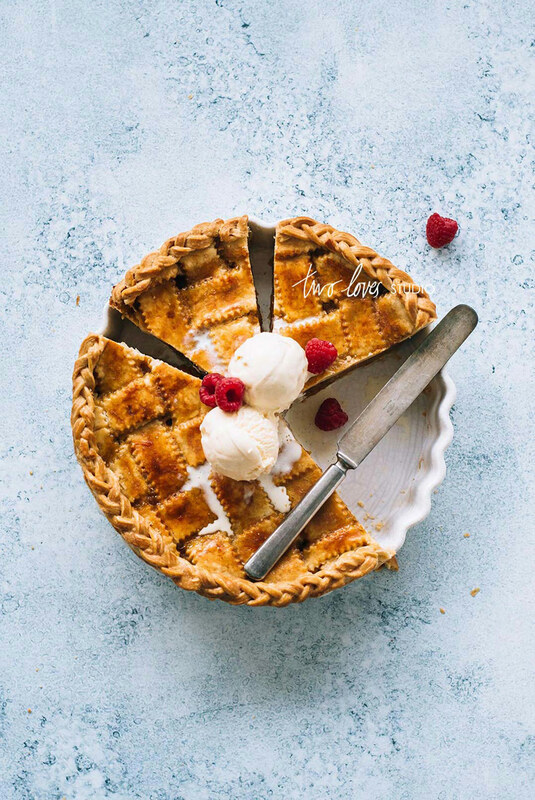 Do you have any food styling tips for pie crusts or any pastry tips? I’d love to know how you make your pies drool-worthy! Leave me a comment below. Thanks Fran! Can you tell I love shooting pies? If I made pies that looked that good I’d love shooting them too ? Incredibly beautiful photos! Thanks for the tips, took a note. Thanks so much Sveta! I sure do love shooting pies. Such a great post! Thanks so much for sharing your tips and tricks! You’re so welcome Kasey! Thanks for stopping by. Hope to see some pie shots from you in the future. You had written a very amazing article in very simple words which is easy to understand for all the peoples.